Our "Bigger" 15 oz. 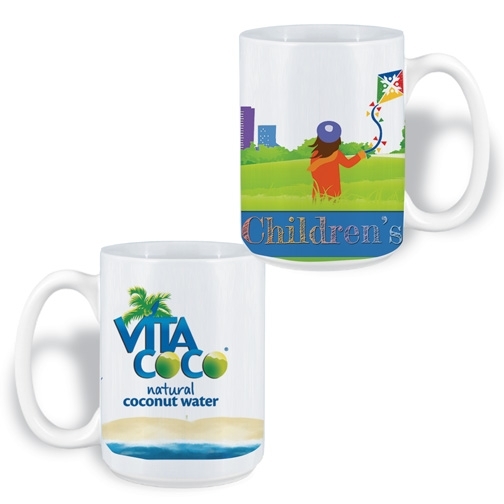 ceramic mug features a huge full color decoration area. Imprint is suitable for the dishwasher and microwave under normal household use. Only sold in increments of 36. Imprint Area : 8.375" x 3.75"
Only sold in increments of 36.